It has been an eventful week in the SBI World, and we have spent a lot of time in the city 30 miles to the west. For those not up on local geography, that city is Nashville. On Monday night, we had tickets for Game 6 of the Western Conference Finals in the National Hockey League. The Nashville Predators have been on a magical run through the playoffs and have taken over the city. Long time Predator fans are not happy with the bandwagon people, but we felt that Game 6 was a must-see event. They clinched the championship, and I got to High Five the country music star who sat in front of us. I have no idea who he was, but my wife was not happy that I got to touch him and she did not. On Tuesday night, I was back in Nashville for a fundraiser. Cumberland University, where I work, is the home of the Martin Van Buren Papers, and a Nashville attorney hosted an event to assist with that project. He has an amazing collection of historic artifacts and opened his office for tours. People paid to see documents signed by George Washington, Abraham Lincoln, Martin Luther King, Davy Crockett, King George III and various other people. It was interesting to see everything and to hear the stories of how the collection came together. On Wednesday night, I went with my brother and my nephews to a truly cultural event. 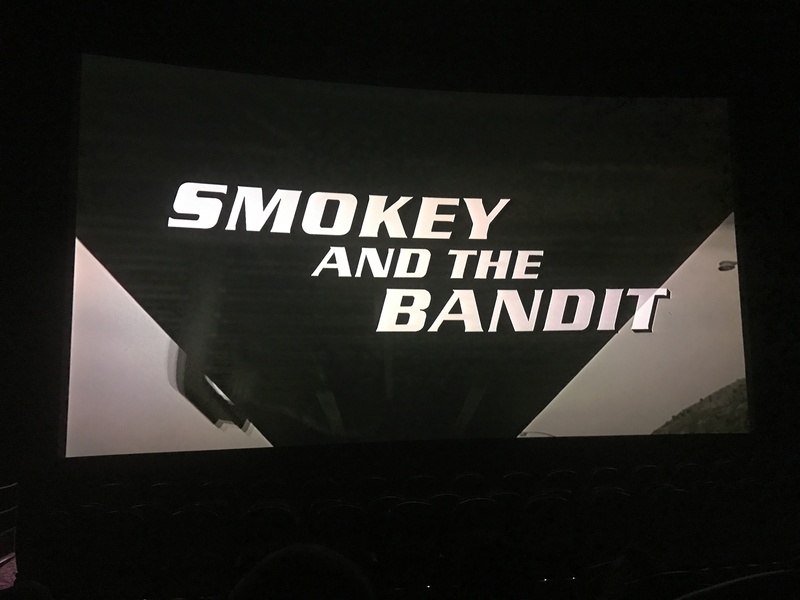 We went to the theater to see the 40th Anniversary screening of Smokey and the Bandit, a movie that I have seen a million times. It was great to see the Bandit, Snowman and Buford T. Justice on the big screen, but it was also great to see people with their t-shirts. As bandit tells Snowman when they get to the warehouse full of Coors beer, it was “redneck heaven.” After it was over, I wanted to get a diablo sandwich and a Dr. Pepper. On Friday night, it was back to Bridgestone Arena, home of the Predators. However, we were not there for a hockey game. We were there to see Eric Church in concert. I do not know much about the singer, but we had already seen him at a Kris Kristofferson tribute concert. This one was more rocking and raucous. 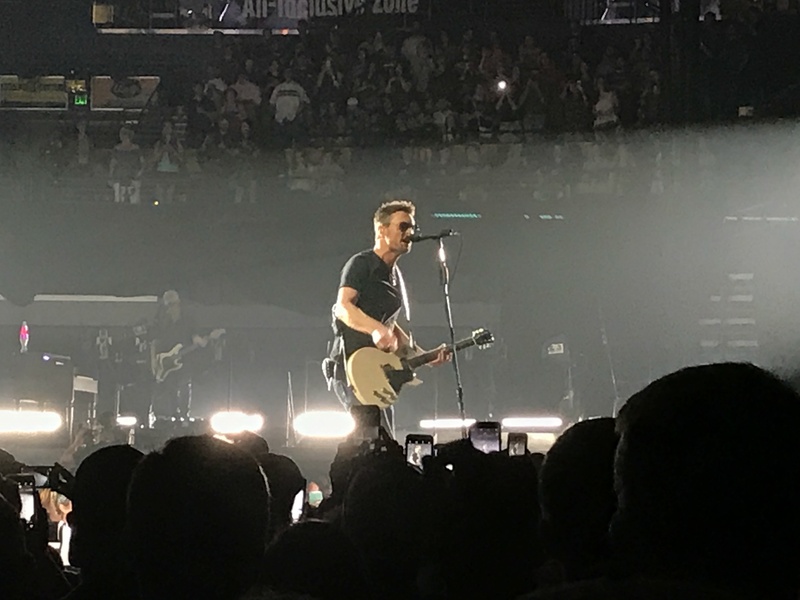 Eric Church is known for wearing sunglasses, and it was funny to see all of the guys in the crowd wearing sunglasses. I reckon that thought some female would mistake them for the performer. On Sunday night, we went to the Tennessee Performing Arts Center to see Beautiful: The Carole King Musical. It was a great show about the life of a prolific songwriter who also creating on of the great albums of all time. Through professional success and personal tribulation, she wrote songs that became part of the soundtrack for a generation. Now, we have to see the real person in concert. At some point, I made the statement that I was not going to go into the city for a while. However, I will it will happen because there is too much cool stuff there to do. This week was just a small sample of that. I have this book called 10,000 Answers: The Ultimate Trivia Encyclopedia. It is exactly what the title indicates – a book full of stuff that might win some money on a game show. Sometimes, I will scan through the book because you never know when the information will come in handy. Since I cannot think of anything else to write about, I figured a post about one of these book scans would be interesting. We will go through the pages at random and see what useful information can be found for each letter. The trash collectors in the Hi and Lois comic strip are named Abercrombie and Fitch. Sir David Brewster invented the kaleidoscope. Cerumen is the medical term for earwax. On Bewitched, Samantha Stephens maiden name was Dobson. Cesar Chavez’s real last name was Estrada. In 1940, Ida Fuller received the first Social Security check. “Great Bird of the Galaxy” by Gene Roddenberry’s nickname. The Hermitage is the home of President Andrew Jackson. Ixcatlan, Mexico is the setting of The Magnificent Seven. Justice for All was the original working title of All in the Family. The python in The Jungle Book is named Kaa. Little Reata is the original name of the oil company owned by Jett Rink in Giant. Frank Calder was the first president of the National Hockey League. Operation Barbarossa was the German code name for the invasion of Russia during World War II. Port Charles is the setting for General Hospital. Mary Quant created the miniskirt. Winston Churchill’s pet poodle was named Rufus. Kristin Shepard shot J.R. Ewing. Charles Lindbergh was Time magazine’s first Person of the Year. The Snapple company was originally named Unadulterated Food Products. Volunteer was Lyndon Johnson’s secret service code name. Tex Ritter’s horse was named White Flash. Wolfman Jack’s radio station in American Graffiti was XERB. In 1941, Gary Cooper won the Best Actor Academy Award for playing Tennessean Alvin C. York. In 1927, pitcher Tom Zachary gave up Babe Ruth’s 60th home run.